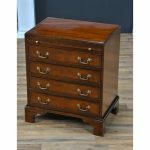 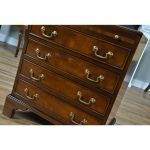 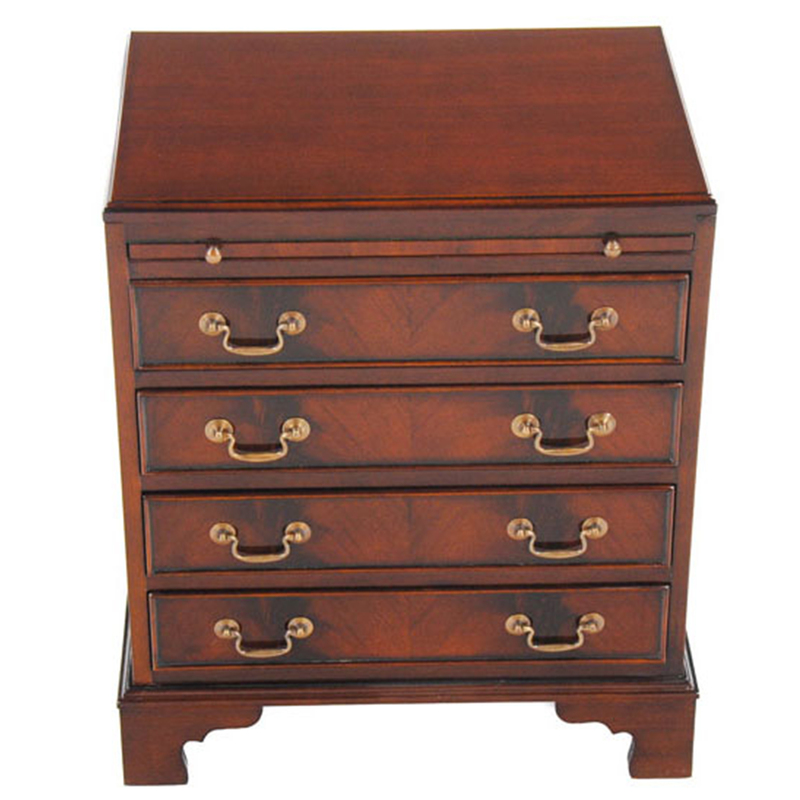 A Small Mahogany Campaign Chest by Niagara Furniture in an English style. 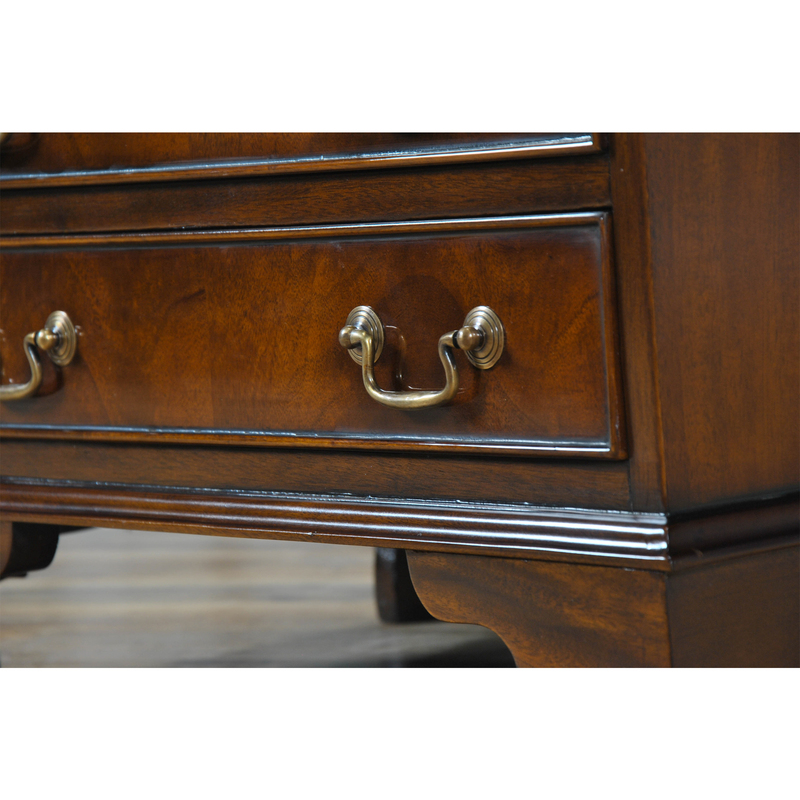 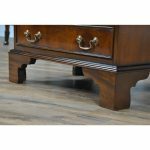 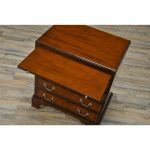 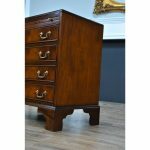 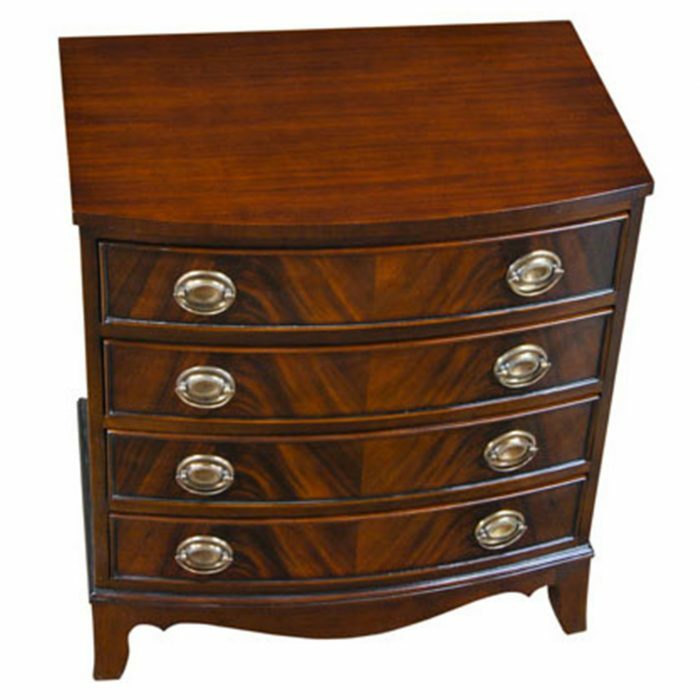 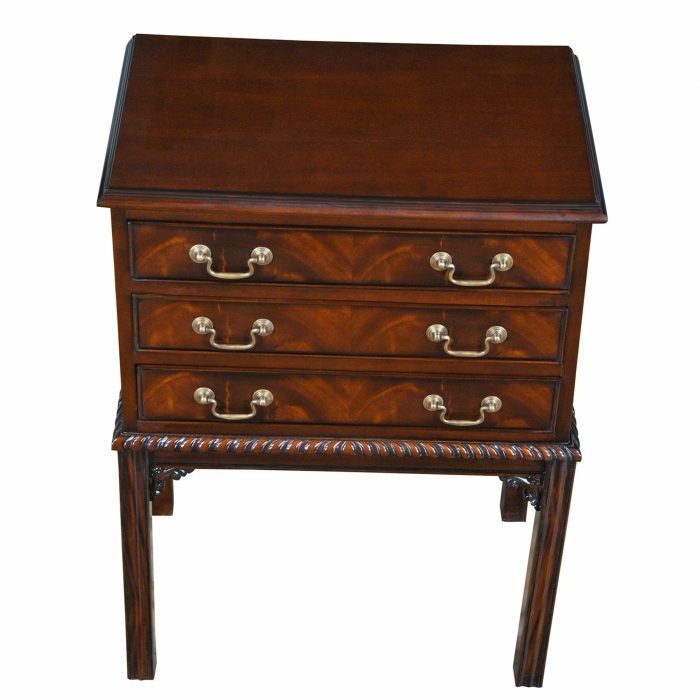 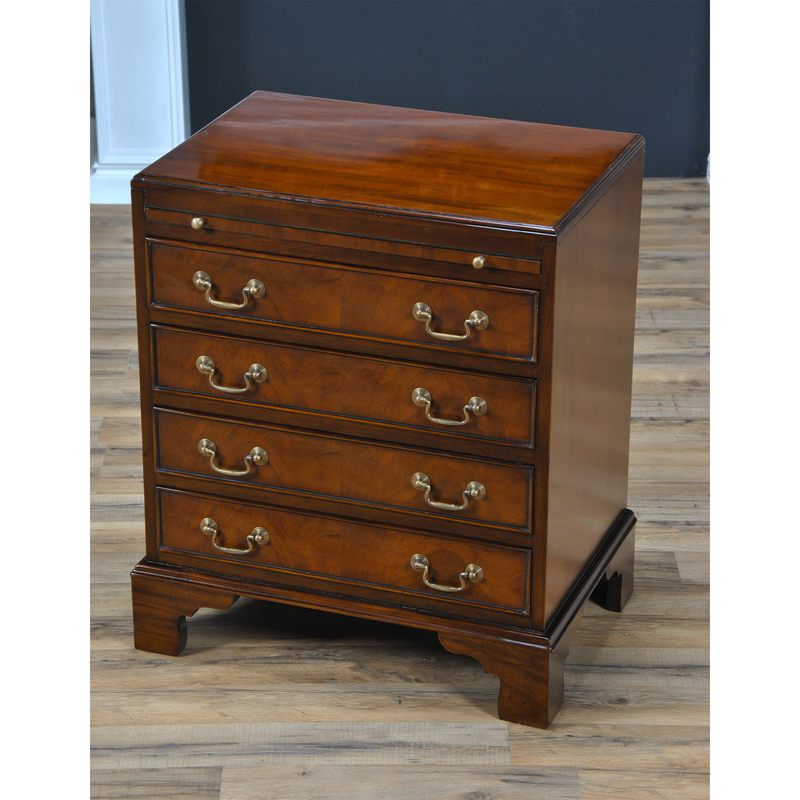 This Small Mahogany Campaign Chest works very well as a either a night stand or as an end table. 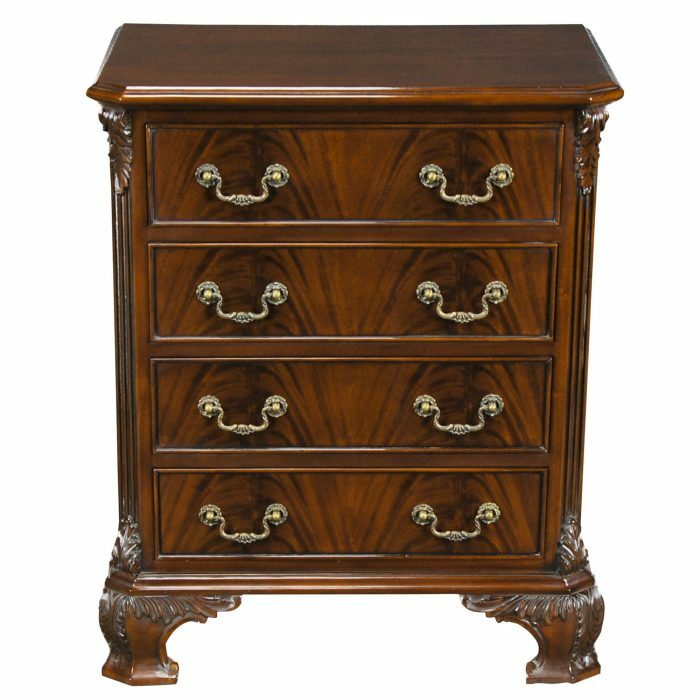 Great quality construction features include the use of the finest mahogany veneers and mahogany solids throughout the case piece along with cast, solid brass pulls. 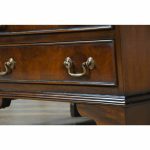 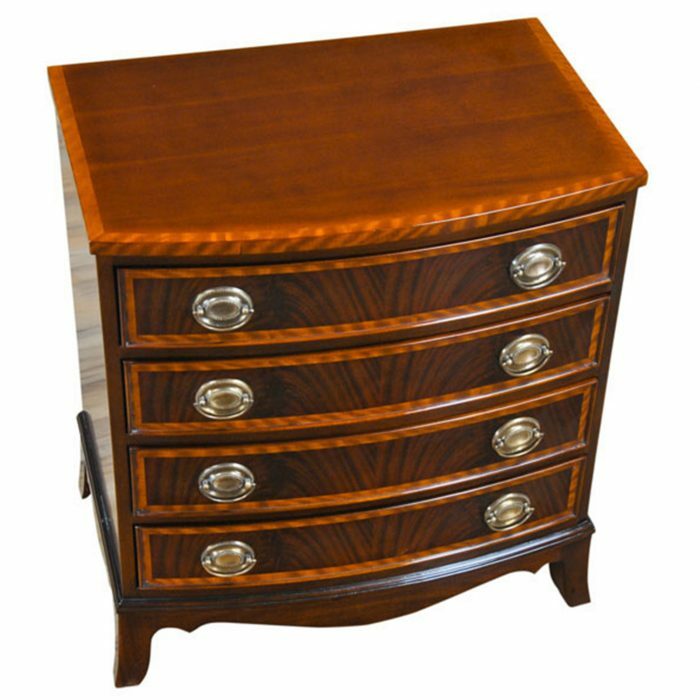 The top of the chest has a rounded tight fitted molding similar to what is found on campaign furniture, the pull out slide allows for greater resting space when required and the graduated, dovetailed drawers provide a lot of storage. 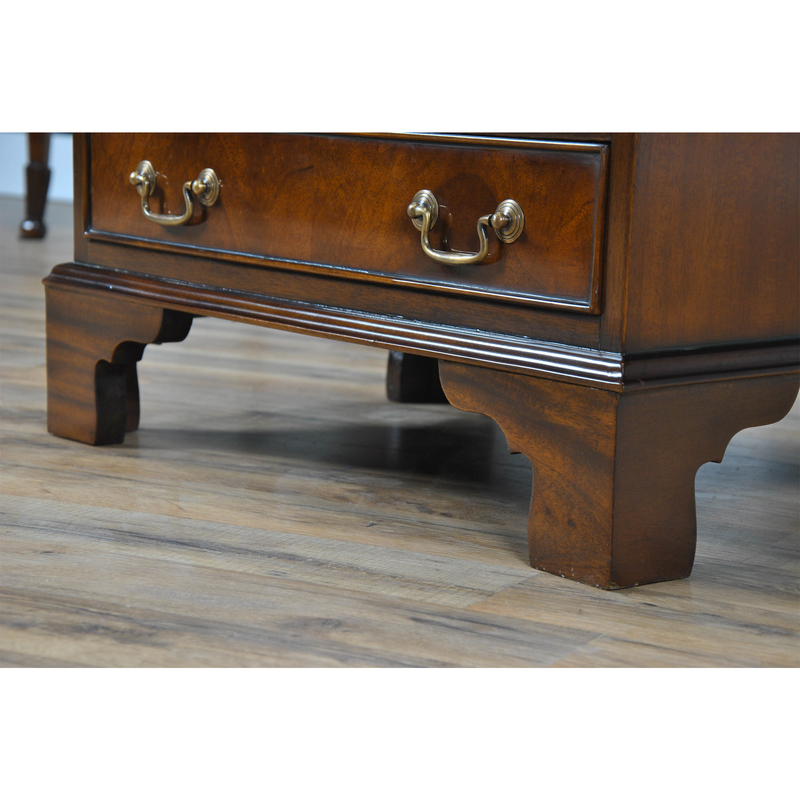 All supported on elongated ogee bracket feet.